Barry is a mediator, arbitrator and investigator with ADR Chambers. 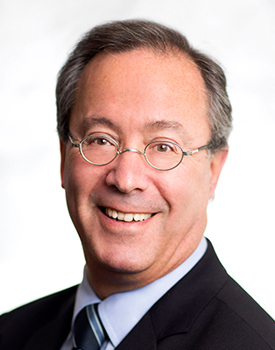 Barry has domestic and international experience in commercial disputes involving shareholder/partnership issues, professional liability, business succession, franchise issues, construction, class actions, contracts and securities. He also has expertise in environmental liability, wrongful dismissal, reinsurance and disputes involving the automotive industry. Most recently, Barry was senior counsel at Borden Ladner Gervais LLP before he retired to mediate and arbitrate full time. He has over 35 years of experience handling complex commercial litigation and arbitration matters and has been consistently recognized in the Best Lawyers in Canada (Corporate and Commercial Litigation) and in the Who’s Who Legal: Canada (Commercial Insurance and Reinsurance). Barry earned his LL.B. from the University of Western Ontario and his B.A. (Hons.) from McGill University. He is a Fellow of the Chartered Institute of Arbitrators and a member of the Toronto Commercial Arbitration Society, The Advocates’ Society, the Law Society of Ontario, the Canadian Bar Association and the American Bar Association.